Ivor George Cann Dewdney was born on 14th May 1905 in Stoke, Plymouth. He was one of five children, (eldest first), Winnie, Ivor, Ron, Clifford, and Kath and he was educated at Somerset Place School. 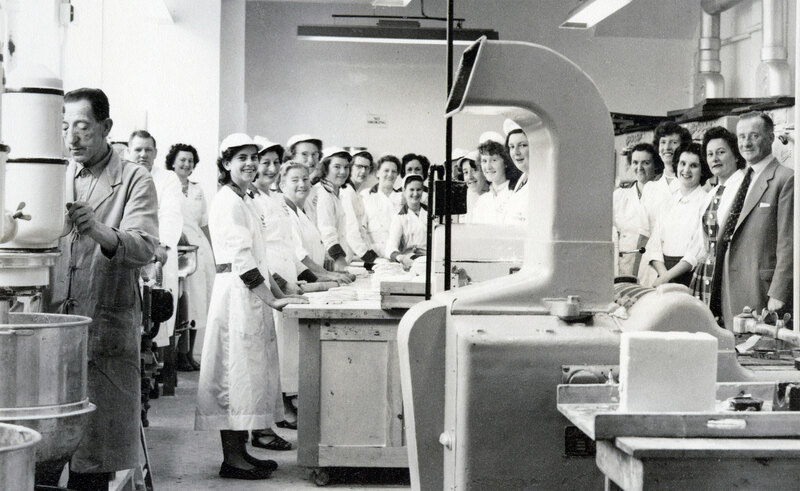 At 21 years old, Ivor started making his own pasties in his mother’s kitchen and selling them to people in the pubs in Plympton. Ivor moved to London to gain experience in wholesale trading. He moved back to Plymouth and rented a disused stable in Plympton St Maurice which he turned into small bakery. He made pasties there with 1 or 2 staff and sold them again around Plympton. 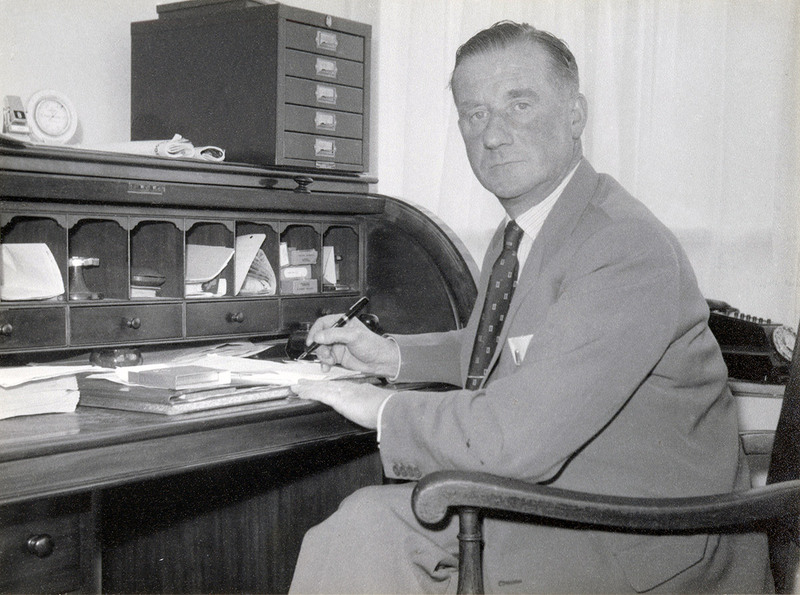 After building up his business in Plympton he had saved enough money to open a shop in Plymouth and on May 23rd 1939 he opened his first shop in King St, Plymouth. War broke out in September 1939. Ivor joined the Home Guard and Plymouth was badly blitzed but Ivor stayed open throughout. His wife, Ivy, would bring his fresh clothes down to the shop each day as he didn’t have time to go home as he worked during the day and was on Home Guard duty at night. On one occasion he was picking up ingredients after an Air Raid and drove along Embankment Road. When he went to drive back down the road he was told the road was closed due to an unexploded bomb being found there. He had driven right past it earlier and not seen it in the blackout. After the war in 1957, Ivor built the shop at 99 Cornwall St and moved his business there. It was the first shop to be built there, the rest of the street being houses. Coco the Clown visits Ivor Dewdney for the official opening. 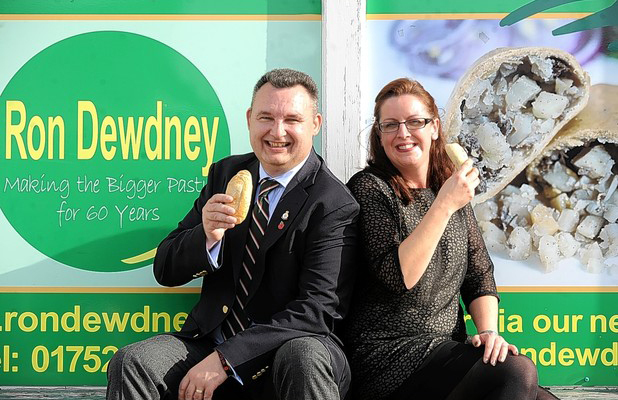 This brought all pasties bearing the Dewdney name back into the family business. 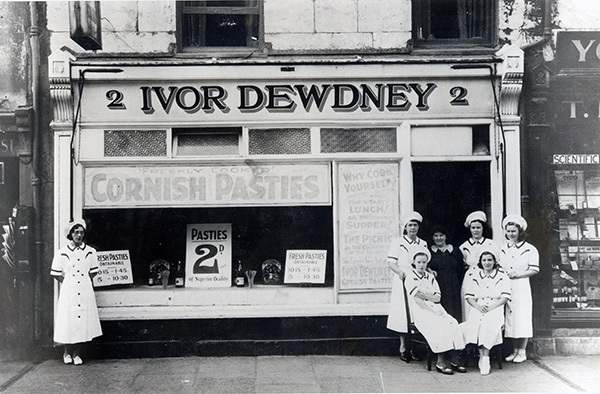 From this shop and bakery, the business has grown to having nine shops, all supplying Ivor Dewdney’s own special brand of pasties. 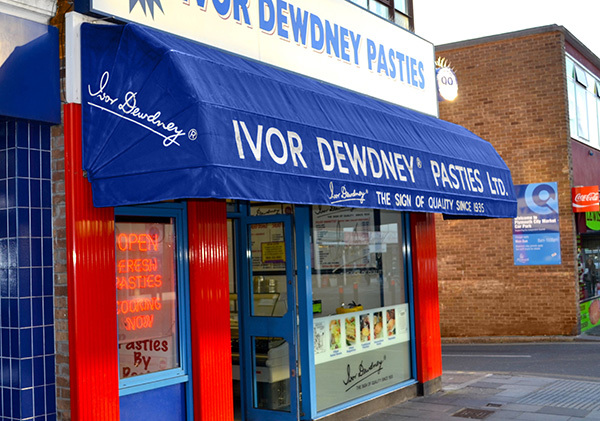 The business today is now run by Ivor’s grandchildren, who are proud to carry on the fine traditions that have made the Ivor Dewdney® pasty special.